Bathroom City offers so much more than other bathroom retailers as we are also furniture designers and manufacturers who can deliver exclusive products and services from our Birmingham premises. Our factory is located next to our luxury showroom and warehouse at Seeleys Road, and is staffed by highly-skilled craftsmen who use traditional woodworking techniques along with state-of-the-art technology. We create unique real wood furniture ranges you can’t buy anywhere else and by buying directly from us you can experience superior British craftsmanship at factory outlet prices. Our expert team work on bespoke furniture commissions and can build whirlpool baths which are tailored to each customer’s individual specifications. We also provide a complete CNC machining service for businesses and the public alike. Bathroom City have been helping our customers to create their dream bathrooms for almost 30 years. We supply a huge range of beautiful bathroom furniture, sanitary ware, brassware and accessories from designer brands along with our exclusive handmade real wood furniture. Our extensive online store and luxury showroom both showcase prestigious brandnames including Kohler, Heritage, Pelipal, Matki, Burlington, Crosswater and Bauhaus. These premium brands are renowned for the superior quality of their products along with an exceptional standard of design which spans both contemporary style and period chic. Be inspired by our comprehensive selection of modern and traditional bathroom suites, bathtubs, showers, bathroom taps, illuminated mirrors, designer radiators and much more. These products sit alongside our own beautiful furniture ranges which are skilfully crafted by our time-served carpentry team. We can offer unique furniture designs and superb craftsmanship for the amazing price you can only get by buying direct from the manufacturer. Our 65,000 sq. ft. warehouse has thousands of bathroom products in stock which are ready to take away today or you can take advantage of our fast, efficient delivery service which is FREE for orders over £249. Bathroom City’s experienced team are always happy to offer expert advice and guidance to ensure that you make the right choice, whether in our showroom, online or over the phone. Our unrivalled passion for bathroom design and huge range of products will help you build the perfect bathroom that you’ve always dreamed of. Loveridge Kitchens & Bathrooms Ltd.
Based in the beautiful surroundings of Ettington Park only 5 miles from Stratford-upon-Avon, we are a family run business with over 40 years of experience, we offer a complete service from design, project co-ordination to installation. Extensive selections of stylish kitchens and bathrooms are available to suit all tastes and lifestyles. Family owned business of longstanding manufacturing in the heart of the Potteries. We take tremendous pride in our traditional methods and values incorporating timeless designs, handcraftsmanship and high quality materials that have endured for over two centuries in the British ceramic industry. Our Bathroom Collections have been created without compromise to satisfy the needs of the most discerning clients throughout the world, combining exceptional design with technical performance. We are a family run business that has been established for almost 30 years and are proud of our reputation for excellence in both design and customer services. As an independent retailer we can offer an extension selection of high quality bathroom fittings, kitchen furniture and appliances from some of the best and most luxurious brands. We create beautiful bathrooms and kitchens that are not only stylish and beautifully designed but offer all the practicality and functionality you and your family require. We offer a very personal and tailored service that begins with a consultation with business owner Caroline or daughter Claire to design and plan your dream bathroom or kitchen. Whatever your design ambitions, Caroline and Claire will be happy to find a way of bringing them to life. Clays is all about providing quality service for our customers everytime, whether you are looking for something as small as a tile trim or something bigger such as tiles for your home whatever your budget. With over 60 years combined experience our staff take a hands on approach to ensure that your shopping experience with us is as enjoyable and useful as possible. I offer complete work in refurbishing bathrooms, carrying the project through all the phases, from stripping the old features down to installing new equipment, with plumbing, tiling and plastering included. I specialise in high quality equipment (Matki, Villeroy&Boch, Axor, Hansgrohe) and can help you choose the best solution that will suit your lifestyle and your budget. We at CVM Installations are a small family run company that has been going for the last 10 years but have got 15 years’ experience in the trade. We pride ourselves on our quality of workmanship. We dedicate ourselves to our customers and their satisfaction of the work we carry out. 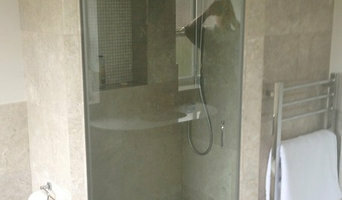 We specialise in complete bathroom design and refurbishment, we also specialise in wall and floor tiling. But we also carry out the following: General Plumbing, Radiators Valves and Thermostats installed and replaced, Shower installation and repair, Water leak detection, Water supply pipe repair, Plumbing repairs, Disabled bathrooms showers and wet rooms and many more. Please call for more information and advice or to arrange a free quotation. We look forward to hearing from you. Utopia Furniture Group is the UK’s leading manufacturer of complete bathroom solutions, supplying more complete bathrooms each year, than any other manufacturer in the UK. Our entire furniture range is manufactured in the UK and a comprehensive guarantee is provided on all of our products. For over 25 years, we have been designing and manufacturing high quality bathroom suites, bathroom furniture, worktops, mirrors and bathroom accessories in the UK, and supplying these through an extensive network of over 600 specially selected retailers covering the UK and Ireland. We also supply a comprehensive range of shower screens, baths, lighting, tiles, taps and accessories designed to complement and enhance overall look and feel of your beautiful bathroom and add that extra special finishing touch. Coventry Bathrooms are an independent bathroom specialist, supplier and fitter of showers wet rooms, mobility bathrooms and en-suites that you can view at our bathroom showroom and shop. We constantly monitor all of the major tile, plumbers supply and bathroom suppliers from around the UK to ensure that we find the best offers and then package the separate parts into one of several stylish bathroom sets and offer them to the customer at the lowest possible price. Anglo Italian are a local family run in house design and installation team. Tile and bathroom specialists. Extensive showroom in Hollywood Birmingham. No sub contractors used, all staff are directly employed. Each project individually dealt with from concept to completion. A quality Birmingham, West Midlands bathroom designer will start by getting to know you, your family and your home, to understand how to create a bathroom perfectly tailored to how you live. Bathroom designs can vary hugely in spec depending on the size of the space and a good bathroom designer will be able to offer creative solutions that will still allow you to achieve the style you want in the space you have. 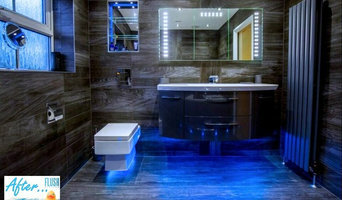 From wet rooms to cloakrooms to luxury ensuite bathrooms, bathroom design can be particularly tricky because of all the plumbing and infrastructure involved, so it’s handy to have bathroom fitters in Birmingham, West Midlands on call who can handle any plumbing, wiring or structural questions that may arise. Many bathroom designers will also offer a full bathroom fitting service, using their network of Birmingham, West Midlands bathroom fitters to ensure you get a perfect finish. The benefits of employing professional bathroom designers and bathroom fitters in Birmingham, West Midlands include guidance and advice on how to make the best of a small bathroom space or how to create a truly luxury bathroom if you have room to spare. From clever bathroom layouts to the best bathroom furniture your designer can help you make the best decisions and offer ideas for how to create the bathroom of your dreams. It’s essential for your Birmingham, West Midlands bathroom designer to understand your needs precisely in order to design and fit the bathroom that you want. Being upfront with your bathroom budget will allow your designer to advise on tailoring your design to your specifications as realistically as possible. You can use Houzz to assist your design process by creating ideabooks that reflect your dream bathroom ideas and style, finding inspiration for colour palettes and materials for bathroom furniture, tiles, cabinets and bathroom suites all of which will be hugely helpful in guiding the process of your Birmingham, West Midlands bathroom designer and bathroom fitters. Understanding your vision and any limitations will allow your designer to come up with creative ideas and solutions. A new bathroom won’t normally need planning permission unless it is part of a house extension or you are modifying a listed building, but it is always advisable to check with your local Planning Authority before giving the go-ahead to your bathroom fitters in Birmingham, West Midlands. Building Regulations apply to the building of a brand-new bathroom, where there wasn’t one before. Floor structures may have to be evaluated to ensure that they can support the weight of a new bathroom and a full bath in use and in some cases work may be required to strengthen timber joists and boards. Your bathroom designer will be able to advise on bringing in a structural engineer or surveyor to assess the floor and, if necessary, produce the paperwork required by Building Control in order to commence the bathroom fitting or installation. How long have you been bathroom designers and/or fitters in Birmingham, West Midlands? Find a bathroom designer on Houzz. Narrow your search in the Professionals section of the website to Birmingham, West Midlands bathroom designers and bathroom fitters in Birmingham, West Midlands. You can also look through Birmingham, West Midlands photos to find a bathroom, wet room or cloakroom you like, then contact the professional who designed it and fitted it.